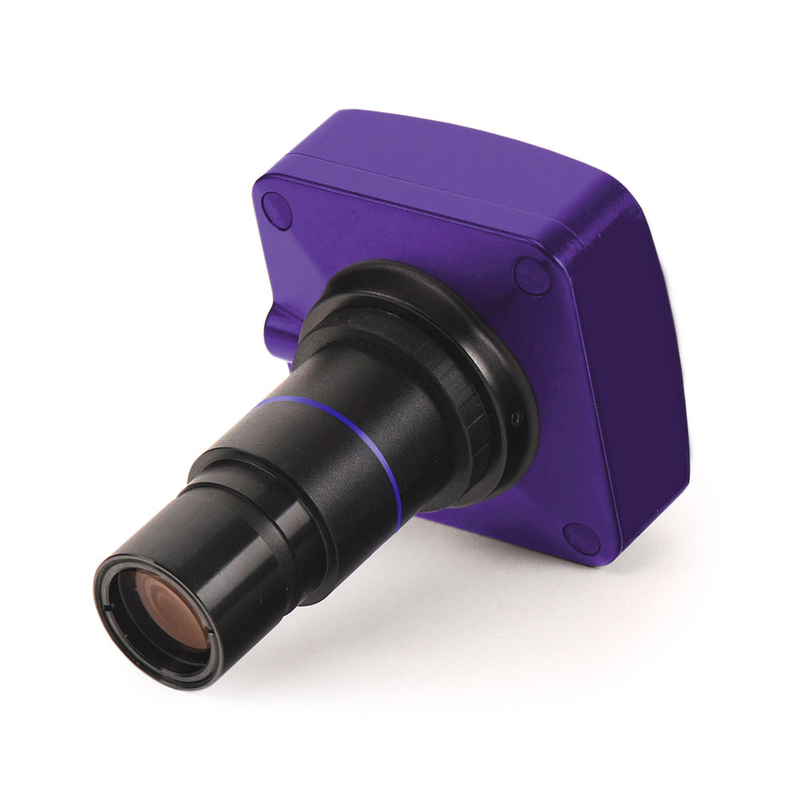 Digital camera attaches to telescope’s 1.25″ eyepiece adapter. Camera records digital stills or video, max resolution is 1280 x 1024. 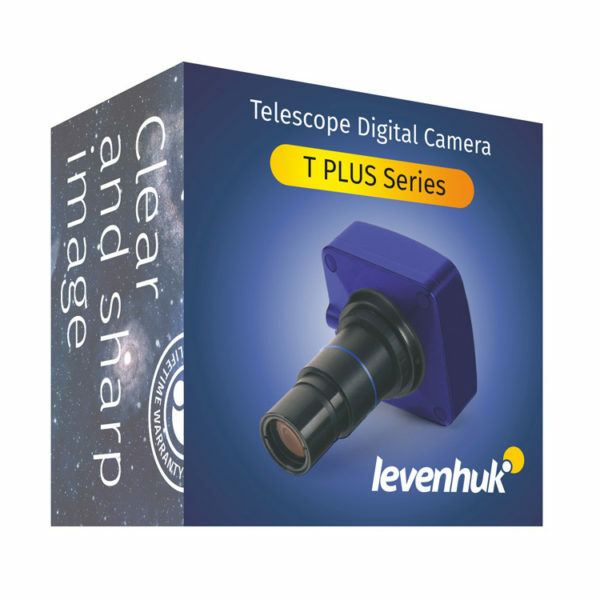 The Levenhuk T130 PLUS Digital Camera will allow you to join the world of astrophotography. The camera can be installed on the telescope of any optical scheme of any brand. A 1.3 megapixels resolution is enough to get high-quality images of the Moon and planets at small and medium magnifications. A high-sensitivity image sensor will allow you to photograph deep-sky objects. This camera allows you to manually adjust the exposure time – when shooting the planets you can avoid overexposure of the picture. This camera lets you record videos. Three preset modes differ by image resolution and frame rate. Even at the minimum values of settings, the videos are clear and smooth. The Levenhuk T130 PLUS Digital Camera is an excellent tool to get into astrophotography. It is suitable for novice astronomers and owners of less expensive telescopes. The camera is designed for installation in a focuser of a 1.25” diameter. To connect to the computer and power up the camera during the shooting process, a standard USB cable is used. The package includes special software for processing the resulting images. Mac OS 10.12, Linux Ubuntu 14.04, Windows XP/Vista/7/8/10 (32bit or 64-bit), CPU IntelCore 2 or above; RAM 2GB, USB port 2.0, CD-ROM.